This wasn’t a great hatch. 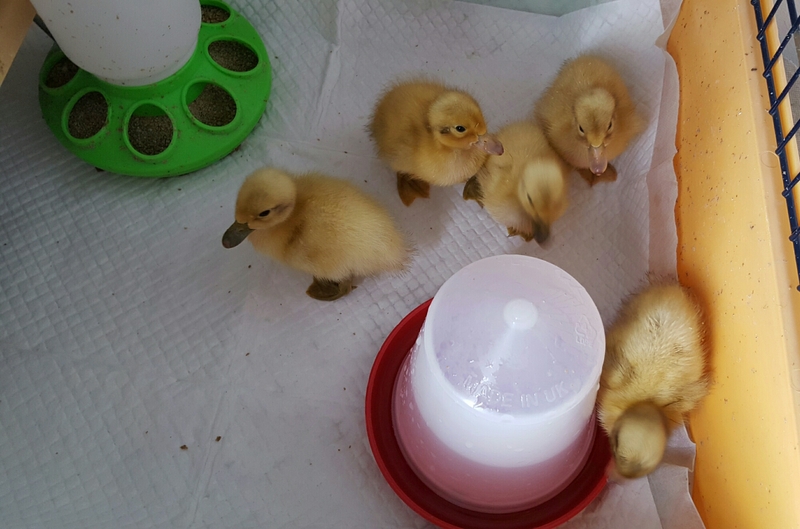 Of 28 eggs only 5 ducklings eventually hatched. It could have been done to issues with the eggs or with the incubation of them. The latter is more likely. 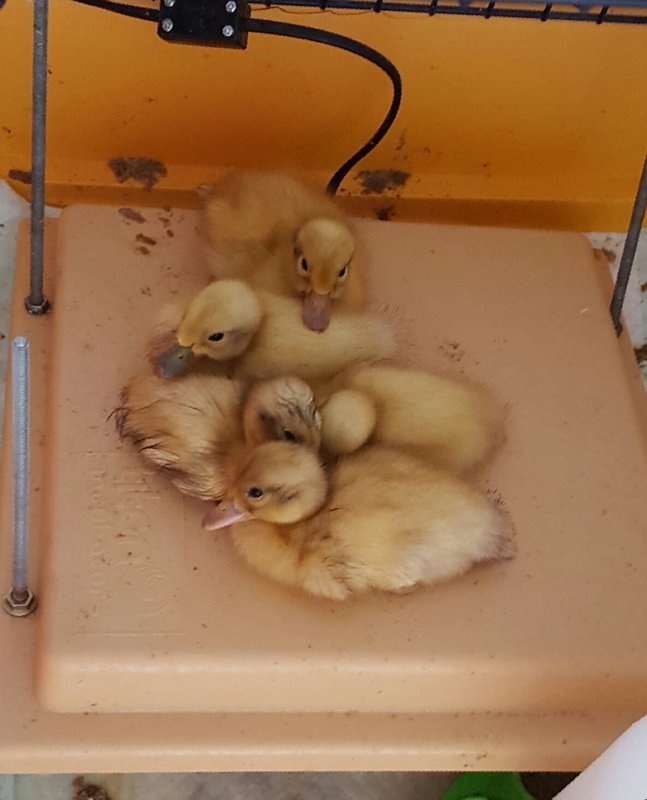 Sitting on instead of under the electric hen (like almost all ducklings this year!) This is a good photo to see the difference in colour of the male and females bills – the female has a pinky coloured bill while the male has an olive green one. 28 eggs in the incy 11th June. By lockdown only 15 eggs were still good. 10-11 July 6 just 5 hatched.